superior,” says appellate attorney Steve Emmert. Virginia Beach-based attorney Steve Emmert has spent much of his career in appellate courts. 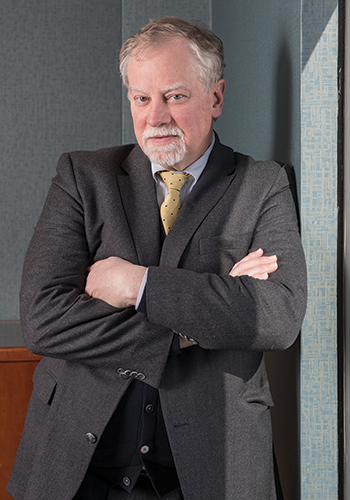 A former chairman of the Virginia State Bar’s Appellate Practice Subcommittee, he is one of many people who saw a need for change in the commonwealth’s appellate system. Emmert has been involved in a movement leading to the launch of pilot projects in the Supreme Court of Virginia and Court of Appeals of Virginia. The programs allow voluntary resolution of certain cases through the use of mediators. The pilot projects, which started on Jan. 1, will run for two years. Mediation will be available in certain civil cases in which both parties are represented by attorneys. In mediation, the parties involved in a dispute discuss their differences with the help of a trained, impartial mediator who assists them in reaching a settlement. The commonwealth’s pilot programs are the result of recommendations by a Special Committee to Study Appellate Mediation in Virginia. Sally P. Campbell, a committee member, says the programs will allow litigants to “own their outcome” and give them control over their legal cases. “The appellate mediation pilot programs highlight a creative alternative to litigation, which can often be extended and costly,” says Campbell, who is also the dispute resolution services manager in the Office of the Executive Secretary for the Supreme Court of Virginia. Mediation “can preserve relationships and empower parties to fashion fitting, creative solutions that might not be available through litigation,” she says. In 2017, Virginia Supreme Court Chief Justice Donald W. Lemons requested the committee study the use of mediation in appellate courts. The panel met four times last year, issuing a report in June recommending the establishment of the pilot projects. The committee also recommended a new level of certification for appellate mediators. Mediation gives citizens an alternative to traditional litigation and its accompanying expense and stress, Lemons said in a statement. “No case will be required to be mediated; rather, we are simply offering a creative alternative to those who want it,” he said. Before the pilot projects began, Virginia had voluntary mediation programs in the lower courts but not at the appellate level. About 40 states and the federal court system have such programs. In Virginia, unlike some other states, the need for appellate mediation wasn’t related to a “docket-control” issue, in which courts are swamped with cases. Mediation sometimes is used to reduce the number of cases heard by judges. In Virginia, the number of cases heard by the appellate courts has been declining. Mediation in Virginia appellate courts was seen instead as a way to give more power to the parties appealing civil cases and allowing creativity in finding solutions. Those solutions could be especially attractive to businesses, Emmert says. The pilot programs likely will not require additional staff or expenses, says Deborah Blevins, the chair of the special committee. All told, about 50 appellate cases a year will be eligible for the mediation pilot projects. Most of the cases that could go to mediation will come from the Supreme Court docket. In the Court of Appeals, mediation will be available in domestic relations cases involving equitable distribution of property or disputes on related attorneys’ fees. Based on records from the past 10 years, that would be about seven cases a year. In the Supreme Court, cases would be available for meditation where a petition for appeal has been granted. In 2017, 112 cases were granted petitions for appeal, according to records. Civil cases that don’t involve child custody issues are eligible for mediation. Emmert estimates about 40 cases a year before the Supreme Court will be mediated. In each court, the clerk will notify attorneys that, if both parties agree to mediation, there will be an automatic stay of proceedings for 30 days to allow the process to occur. During the pilot projects, the special committee will meet every six months to review the programs and make recommendations. After the two-year trial period is over, it will be up to the courts to decide whether to keep the mediation programs. One of the goals of the pilot projects is to let lawyers and other parties know that there is now an alternative to appellate litigation, Blevins says. 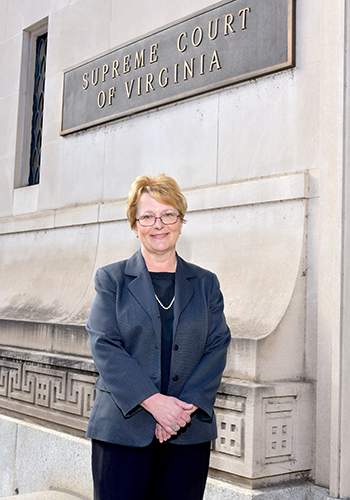 As part of the pilot projects, the Joint Alternative Dispute Committee of the Virginia State Bar and the Virginia Bar Association in November sponsored a 20-hour basic course in mediation and a two-hour course on appellate litigation. Emmert helped teach the course on appellate litigation. And he plans to become certified as an appellate mediator because he believes alternative dispute resolution is a good option. “It’s a mainstream part of the American legal system,” he says.